Lots of red glitter and bling for Mom's birthday! I don't think it's possible to have too much glitter or too much red for Mom. In fact, she wore a bright, red wedding dress when she got married a few years back. She is just so much fun to be with! 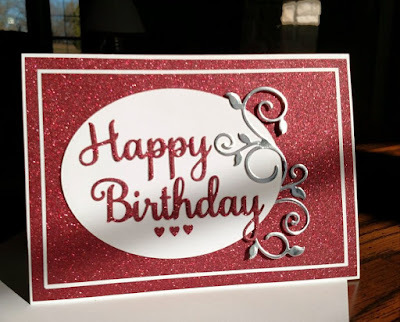 I created this card for the Something New, Something Old challenge over at Our Daily Bread Designs. My something NEW is their Happy Birthday Die (CSBD77). My something OLD is their Fancy Foliage Die (CSBD33). The beautiful, red glitter paper is from DCWV's Holiday Glitzy Glitter Stack. What a beautiful use of dies!! I just love the red and white with the pop of silver. 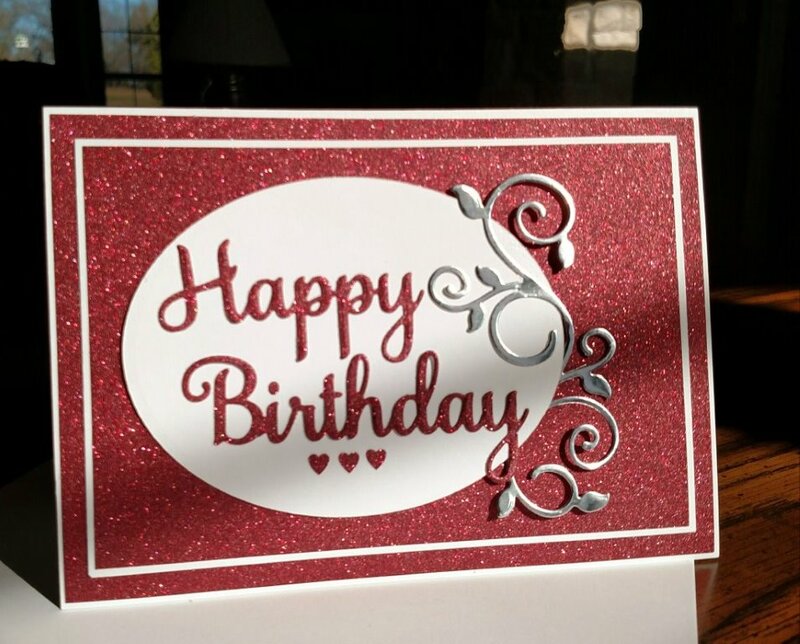 Beautiful card, Pamela!! Thanks for joining us at ODBD! !